3. 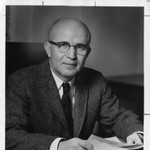 Augustus F. Hawkins, California congressman, who was the first African-American from California in Congress and worked on Civil Rights, Education and Employment issues. Caption: "...not changing policy"
5. 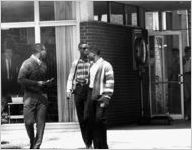 Dave Mack McGlathery at the University of Alabama in Huntsville, on the day he enrolled as the first African American student at the school. 6. 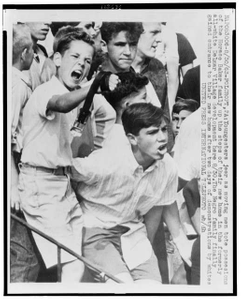 Dave Mack McGlathery at the University of Alabama in Huntsville, on the day he enrolled as the first African American student at the school. 7. 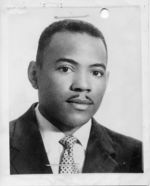 Dave Mack McGlathery at the University of Alabama in Huntsville, on the day he enrolled as the first African American student at the school. 8. 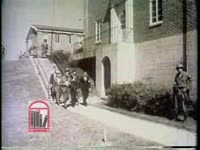 Dave Mack McGlathery at the University of Alabama in Huntsville, on the day he enrolled as the first African American student at the school. 9. 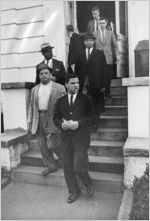 Dave Mack McGlathery entering a building at the University of Alabama in Huntsville, on the day he enrolled as the first African American student at the school.